Sew Is Your Baby, like so many online shops, is a home-run business by mom Michelle. Working from home, Michelle is blessed to spend lots of time with gorgeous baby girl Parker. Cloth diapering was an early passion for Michelle as she and her husband Donovan fought to learn the most they could about it, even though they were the only ones they knew using fluff at the time. After successfully finding their groove and passion for cloth, Michelle took that love to a new level by starting Sew Is Your Baby, an off-shoot of her other sewing and crafting endeavors through SewIsYourFace.com. 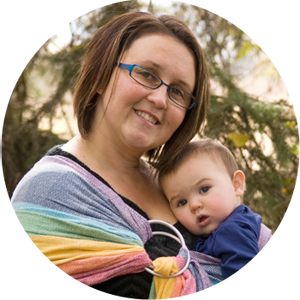 Having partnered with an off-shore manufacturer, Michelle has literally over a hundred different items in her online catalogue, including pocket diapers, reusable flannel baby wipes, leggings, pants, and accessories. 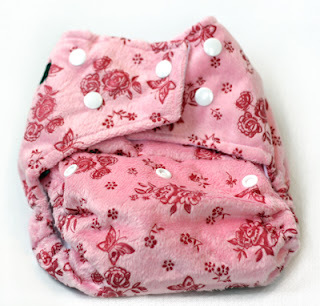 Up for review, Michelle sent me a minky pocket diaper in the gorgeous, feminine Pink Butterflies & Roses print. I've had mixed feelings about minky diapers in the past, so I was curious to see what I thought of this particular diaper. As soon as I unpacked it, I was impressed. The materials and snaps were of good quality, and minky was soft without being overly thick and bulky. The inside of the diaper was a smooth and soft microsuede. The diaper came with a soft, microfibre insert to stuff in the pocket. I love this diaper and have absolutely no complaints or reservations about it! It fits a lot like my other favorite pocket diapers (Kawaii, Hipkiddo, Dinkledooz) in that it has great fit & stretch, as well as square tabs that can be crossed over for an even better fit. This one-size diaper has an adjustable rise and will likely fit most babies from 8-40lbs. The pocket stuffs from the back with a cinched, elasticized opening that lays flat without ever gaping or having excess fabric sneaking out the back to cause wicking. The microsuede lining remained soft (though it does get the tiniest amount of pilling from time to time, especially if there is any velcro elsewhere in your load!) and was SUPER easy to clean. I always prefer microsuede to microfibre when cleaning solids off the diaper, especially as I don't use liners or a sprayer and simply rely on the shake & scrape method for removing my toddler's poop! The microsuede dumps SO easily into the toilet and washes perfectly clean (without stains!) every time. I love how soft & girly this diaper is, and Michelle honestly has so many other great prints to choose from (my other favorites for a girl would definitely be the Hieroglyphics and Pastel Swirls minky prints!). Although I'm ALWAYS a square tab lover, she also carries round tab pocket diapers for those who might prefer their look or fit on their little ones. Basically, there is something for everything at her shop, which is great! Prices typically range from $13.00-$14.00 per diaper and far less for other items & accessories. She still also offers free shipping to the USA, as well as a variety of package deals, and she offers a 30 day money back guarantee on all her diapers! Head over to the Sew Is Your Baby right now and buy your baby a cute new pocket diaper starting for only $13.00. There are literally dozens and dozens of cute prints and styles! **Use coupon code clothme! for 10% off orders of $40 or more. Also, enjoy free shipping on all US orders, anytime! Sew Is Your Baby is also offering one lucky winner their choice of cute one-size pocket diaper (with microfibre insert) from available inventory! Make a purchase from the Sew Is Your Baby online shop and allow yourself one extra entry per item purchased! Final details: I received no financial compensation for this review or giveaway, though I did receive the sample item free of charge. All opinions shared are my own, and I was not persuaded to share anything other than my own thoughts. Other users may have different experiences with this product than what I have shared. This giveaway will end on October 10, 2011 at 11:59pm MST and is open to residents of Canada and the USA only. Winner will be chosen randomly using random.org’s services. The winner will be contacted by email and will have 48 hours to reply before a new winner is chosen. The prize will be supplied and mailed out to the winner by the sponsor of this giveaway. I follow Cloth Diaper Contests and Giveaways. If I win I would pick the Large Giraffe Minky Cloth Diaper!! LOVE it! I liked CDCG on Facebook! I follow @sewisyourbaby on Twitter! I like Sew is your Baby on Facebook as Bobbi Kilbarger and commented on their wall. 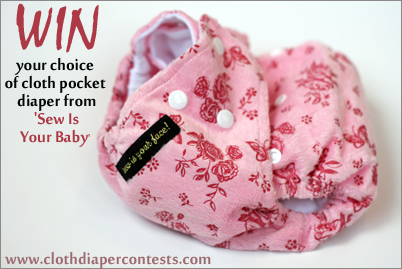 I follow Cloth Diaper Contests & Giveaways blog with GFC as kalealynne. following sew is your face via gfc as amber. I like sew is your baby on facebook as amber dickerson. following cloth diaper contests on twitter as @scamper1977. If I win I'd like to try the Green w/ White Stars. I "like" CDC&G on Facebook. I "like" Sew Is Your Baby on Facebook. I follow Michelle's blog, Sew Is Your Face, with Google Friend Connect as Jessica Sapalio. I like the baby blue with polka dots diaper. 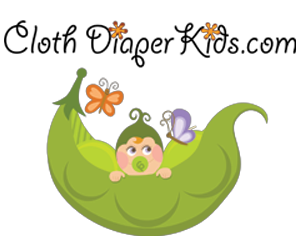 I ‘Like’ Cloth Diaper Contests & Giveaways on Facebook as Jessica sapalio. I would like the Giraffe print for my little man. I liked CDC&G on FB! I like Sew Is Your Baby on FB! I like the Pink Pooh Minky diaper. 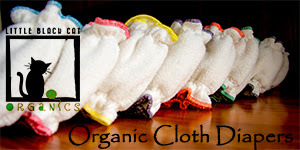 I like Cloth Diaper Contests & Giveaways on FB as Ashley Mullen. I like the Baby Blue w/Polka Dots Minky Cloth Diaper. Ugh, forgot my email. Delete my other entries? Like’ Cloth Diaper Contests & Giveaways on Facebook. Like’ Sew is your baby on Facebook (Kimberlie S.T) and left comment. My fav is the blue love minky cloth diaper.